Create an index using a typewriter and office copier. Clear labels virtually disappear on white divider tabs. Create an index using a typewriter and office copier. 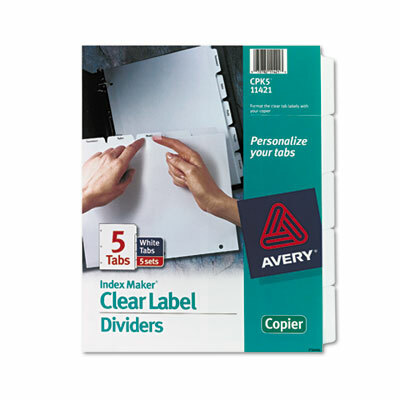 Clear labels virtually disappear on white divider tabs. Three-hole punched for use in standard ring binders.